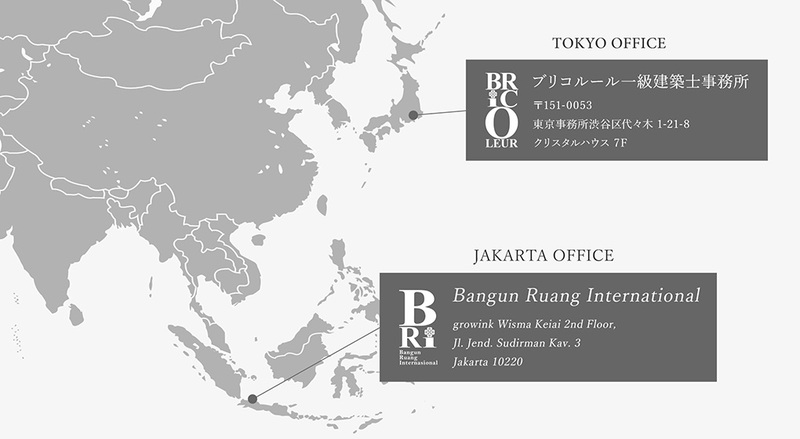 Bricoleur is a design office based in Tokyo and Jakarta that is responsible for new construction and renovation of commercial facilities, private houses, and apartment building (personal owners). "To Provide Value Beyond Expectations Through the power of design" as a corporate philosophy, we are doing a design that is close to the customer's requirements. "Bricoleur" is a folklore terminology (French) translated as "skillful person" and is a word that refers to a person who creates things with his own hands using a combination of tools and materials. Such behavior is called "bricolage". Strictly distinguish it from an engineer or professional, because it is a term for evaluating the behavior of an amateur, it is inconsistent for a professional engineer like us to claim Bricoleur. But, we always want to face various things while having the spirit of bricolage. Jakarta is the capital city of Indonesia and the largest city in Indonesia. 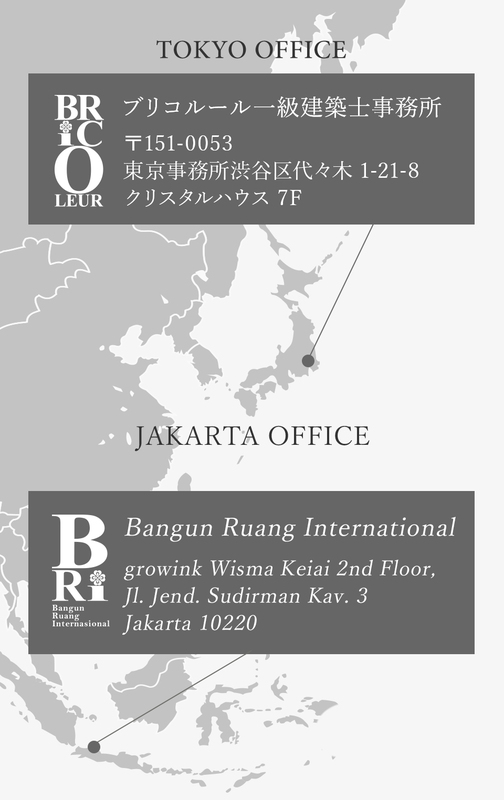 The metropolitan population of 2017 is the world's second largest city in Southeast Asia, following the Tokyo metropolitan area. Currently it continues economic growth similar to Japan's high economic growth period, not only the natural increase of population but also the social increase that flows into the city in search of jobs and educational opportunities is remarkable, and it is said that after 20 years, it will grow to the world's largest city, exceeding the population of Tokyo metropolitan area. Copyright(c)2017 bricoleur Ltd. All rights reserved.